You won't need a boat to arrive at this beachy retreat. 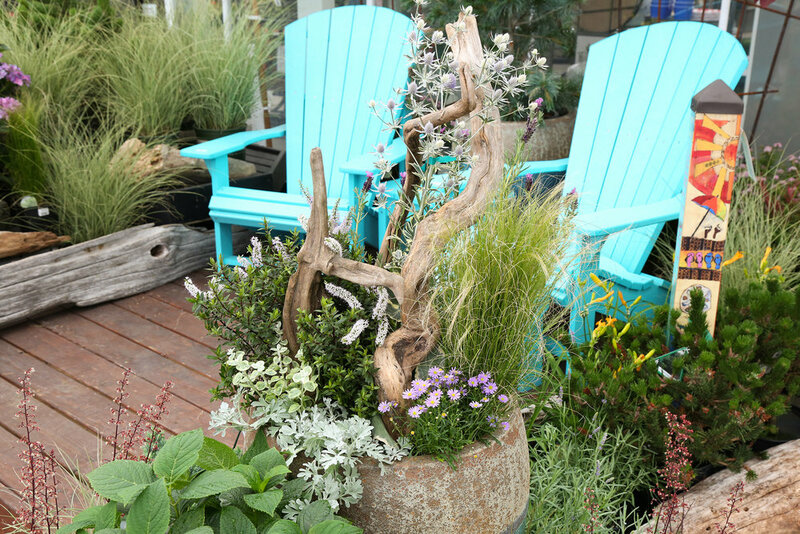 Created by Watson's Landscape Designer Jacky Fausset, this beach-inspired garden transforms an unused corner of your yard into a place to entertain and lounge. From your laid-back Adirondacks, watch the graceful grasses of miscanthus and orange sedge move in the breeze like ocean waves, while pines, dwarf evergreens, and flowering dogwood provide structure and year-round interest. 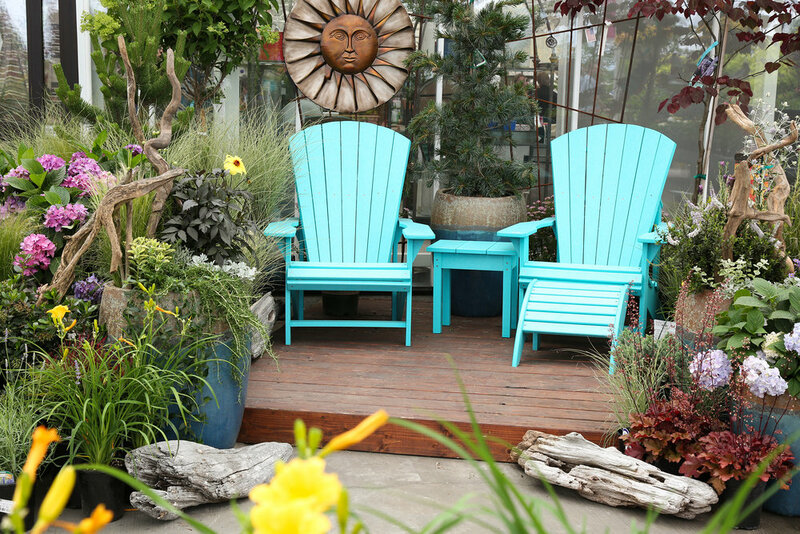 Lavender and Mexican orange shrubs fill this garden escape with a sweet summer-time fragrance, while seasonal perennials offer bright buoys of color. 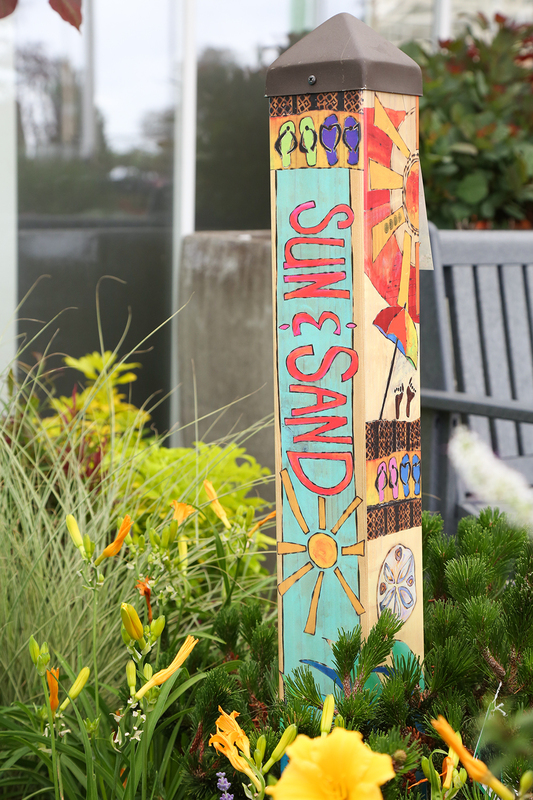 Sunny daylilies and black-eyed Susans bloom alongside airy cone flowers and delicate bergenias, all providing bright seaside hues. Personal touches make this garden truly yours. Place driftwood accents and hand-chosen decorations among your bright bloomers. An outdoor fire pit turns this space into a nighttime retreat, while a fountain brings the sounds of the ocean to you. Whether you're wishing for a place to retreat or to entertain, this coastal cottage get-away is the perfect solution. Download the planting plan and plant list below to start working on your seaside escape.